The Art and Graphics of Nick Stevens. Available for hire.I specialise in unbuilt space projects, and the spacecraft of the Soviet Union. No updates for a while, but there are some new one to go in! I recently bought a Russian Soyuz capsule mesh on TurboSquid. The textures didn’t really come in at all, (not unusual in my experience), but it was fairly straightforward to apply new ones, as surfaces were sensibly named. I was also really pleased to see that the orange seams were done with geometry! 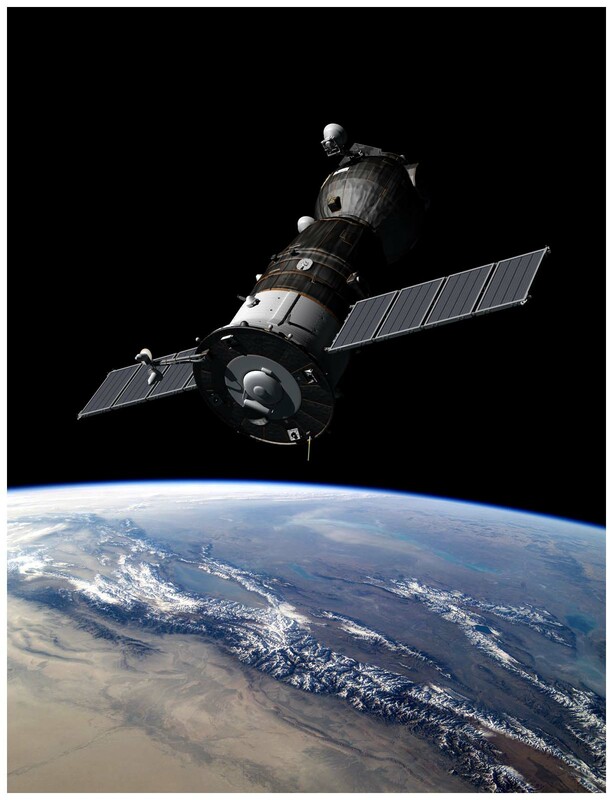 Here are a couple of new renders, where I composited the mesh over Earth, using NASA photos taken from the ISS. As usual, all of this is done in Lightwave 3D. 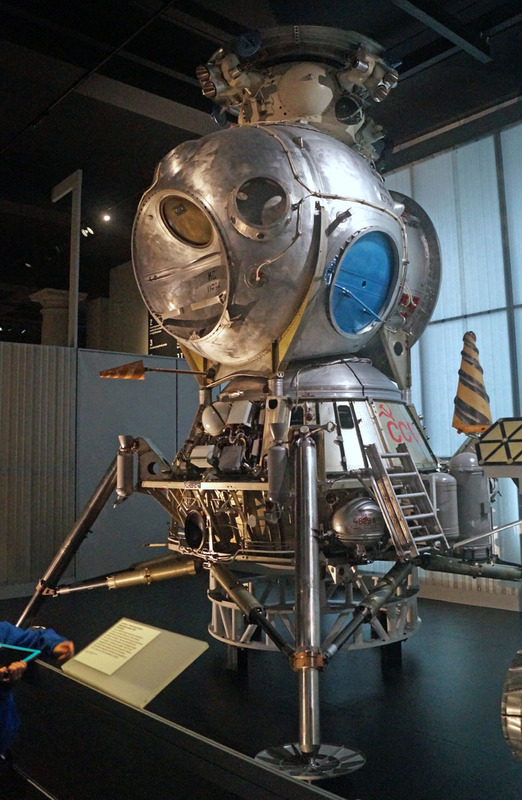 Here’s a selection of photos from the “Cosmonauts” exhibition at the London Science Museum. 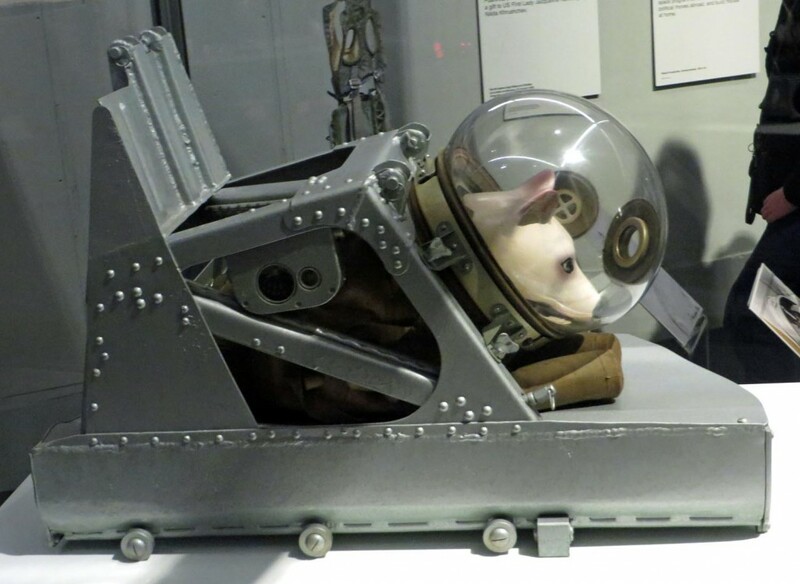 This shows the arrangement used for for the ‘space dog’ Laika. Laika (meaning “little woofer”), was a stray found on the streets of Moscow. The scientists later said that what they learned was not worth the life of a dog. 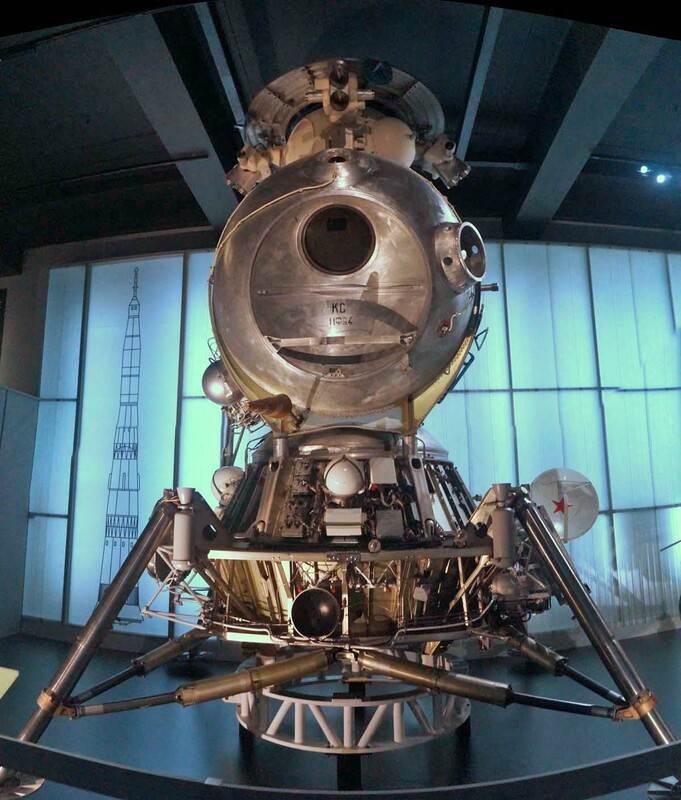 The London Science Museum “Cosmonauts” exhibition had some truly amazing original space hardware from the dawn of the space age. For me the clear highlight was the LK Lander, their equivalent of the Apollo LEM. The lighting was coloured which made getting the colour right a bit tricky! 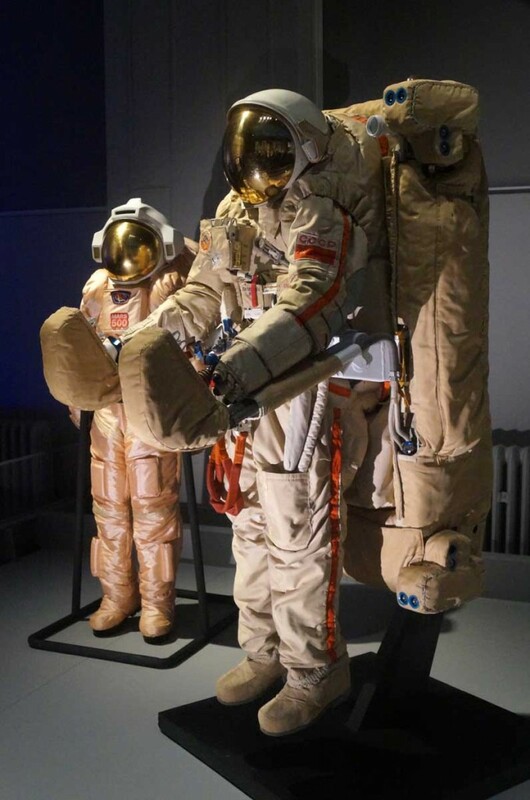 This was a one man craft, and the cosmonaut (probably Alexei Leonov), would have had to stay in his pace suit the whole time. This view is from directly in front, and you can see the window the cosmonaut would use to see where his craft was headed as it came in to land. On the right is the round antenna, (with a star on), used to communicate. 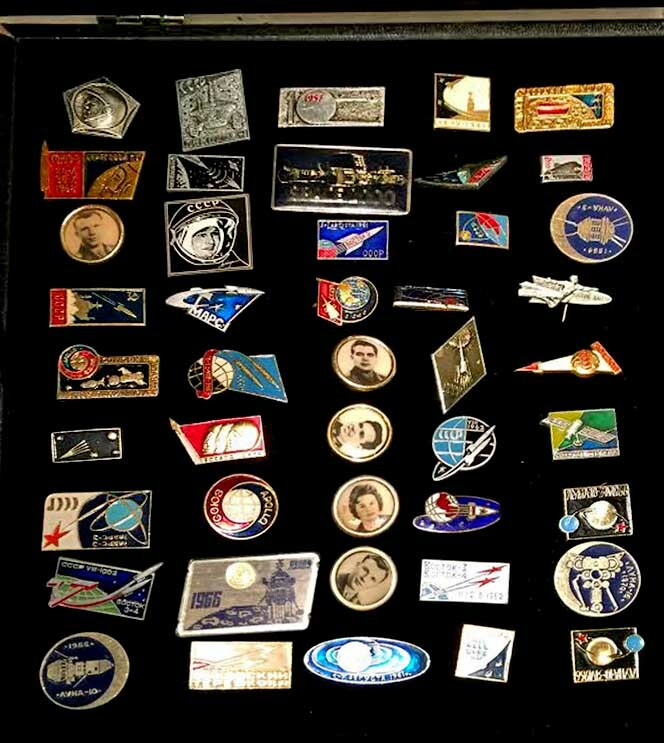 A bit off my usual area of blogging, but I thought some might enjoy this shot of some of my Soviet Space Pins. I found a nice cheap ring box for jewellery on Amazon, works a treat! A guide to modelling CGI rockets, part 1, references.